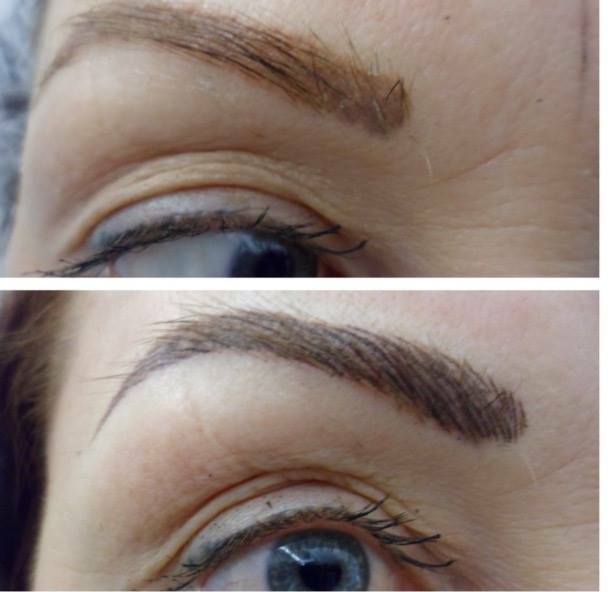 As we delve further into the aesthetic treatments market, semi permanent brows become the latest service on offer at The Aesthetic Clinic from The Waxing Studio. Semi-permanent eyebrows are applied using a technique called Microblading. Pigment is implanted under the epidermis in the basal membrane. A natural finish is achieved by using a tiny specialist blade which results in realistic looking hair strokes. The treatment is ideal if you have very fair coloured eyebrows, minimal or patchy hair, have over plucked, have the wrong shaped brow or have a medical hair loss condition such as alopecia or have had chemotherapy. Our aesthetic nurse will sit with you to design a bespoke brow that matches your face shape and skin tone. By carefully colour-matching the brow pigment to that of your hair and skin, the results of Microblading will enhance your natural features and boost confidence. The results can last up to two years! A top-up is required two weeks after the initial treatment once the pigment has fully taken and developed. Our Microblading semi-permanent brows are £150 and £49 for a top-up. If you would like to know more, book a consultation or an appointment please call us on 0161 839 6112 and ask to speak to Holly, our aesthetic nurse.